So, it's going down once again! We've combined the two and came up with the "Keep Moving! Charity Dodge Ball Tournament" to benefit The Crown Foundation. We are encouraging the youth to not only "Keep Moving", physically to promote better health but also to keep moving through obstacles toward their goals. You're invited to take part in all the fun. Form a team with your friends or co-workers or sign-up solo. This is going to be epic! Thank you! To our amazing sponsors. Without your support, none of this would be possible! 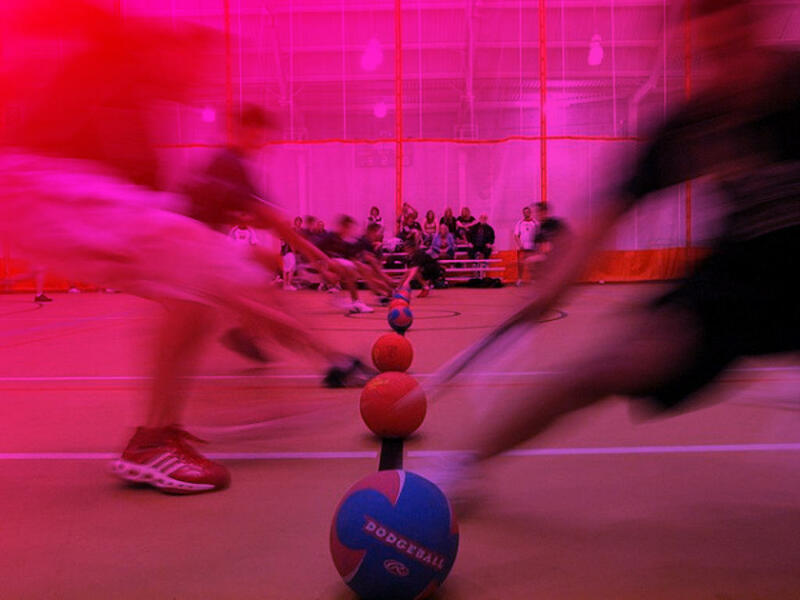 It's probably been a while since you've played an "official" game of Dodgeball, right? No worries, we've taken the liberty of posting the most important rules, more or less. Teams should consist of at least 6 players. with up to 4 alternates. Only 6 players will be on the floor at a time but you will be allowed to alternate players between games. 3) you throw a live ball and it is caught by an opponent. If you are out, line up on the side in the order you got out and If your teammate catches a ball, the player at the start of your team’s “resurrection” line comes back into play after touching the wall (the teammate must be in line at the time of the catch to be eligible to be brought back in). Show up with your team no later than 11:30AM. We plan to begin the tournament promptly at 12:00PM. Because breaks are always nice. The winners of the tournament will be crowned in honor of their victory. The Crown Foundation, Inc. was established to support disadvantaged early adolescent youth by bridging access to resources and mentors in the hopes of guiding them towards self-improvement, community pride and success in education by emphasizing the importance of morals, values, ethics, as well as social and economic responsibility. Our goal is to turn youthful members of the community into community builders and your support in this event will help us do just that. Re-established in 2016, the Crown Foundation, Inc. is soon to be one of Atlanta’s most engaging volunteer organizations geared to helping youth develop self-discipline, critical thinking skills and implement targeted action through mentoring and community outreach. Our goal is to turn youthful members of the community into community builders. We greatly appreciate your support in this endeavor! Thank you, to our amazing Sponsors! Without your support, none of this would be possible. For sponsorship opportunities, send us a message, below.